An incarnated utopia is a place that, although it should only exist in the imagination, exists. It exists with all its aberrations, displacements and inconsistencies. Javier Guerrero won the yearly prize of Institut del Teatre that seeks to promote the work of young creators and performers. In addition to providing whatever is necessary to develop an artistic proposal, the award also offers to take part in the Grec Festival of Barcelona. This is how a choreographic piece, which moves between the concepts of utopia and dystopia, arrives at the festival. If the former describes an ideal world, the latter refers to an undesirable society. The world that Guerrero has invented is situated in an indeterminate space, built on the ruins of an extinct progress, through which the author investigates the mechanisms of memory, repetition and transformation of a world into another. What survives in places that have been abandoned and left empty? How does nature recover those abandoned places? Interpreters wonder through the movement, developing an abstract language with an irregular rhythm, as rooted and dislocated as daily, in which extremes coexist in an exercise of democratization of radicalism. There is, therefore, no place for the average terms, but for an absolute coexistence between the biggest and the smallest, two very present extremes in the abandoned landscapes of the great utopian projects of the 20th century, that Guerrero is so interested in and has inspired this piece. Transiting these landscapes through the body of the interpreters, in a fragmentary narrative, takes the form of a collage. 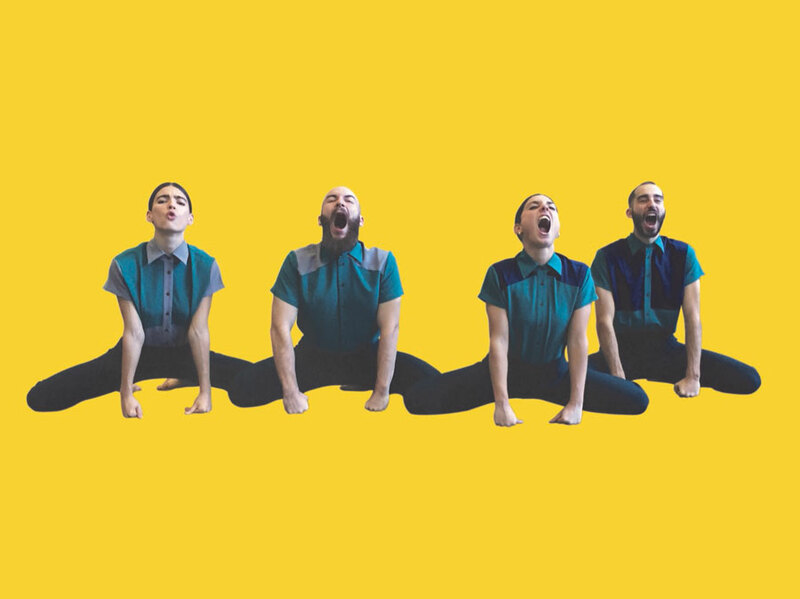 It is the strategy used by Javier Guerrero and also a new piece of work of an Extremadura artist who has studied Dance Choreography and Interpretation at the CSD of the Institut del Teatre and who regularly explores the relationship between body and space. His choreographies have been seen in national and international dance encounters such as the Beijing Dance Festival, and the Festspielhaus Hellerau, in Germany. Coproduced by Grec 2019 Festival de Barcelona and Institut del Teatre. The choreography Lord M-27 won the prize for Dance of Institut del Teatre de la Diputació de Barcelona in 2018. Direction: Javier Guerrero Dramaturgy: Marc Villanueva Mir Interpretation: Joel Mesa, Carlos Roncero, Julia Sanz, Paula Tato Musical composition and sound design: Yves del Río Costume: Malahierba Lighting design: Jauma Ortiz Scenography: Workshop of the Teatre Auditori Sant Cugat Mentor: Eduardo Bonito Production: Brisa M.